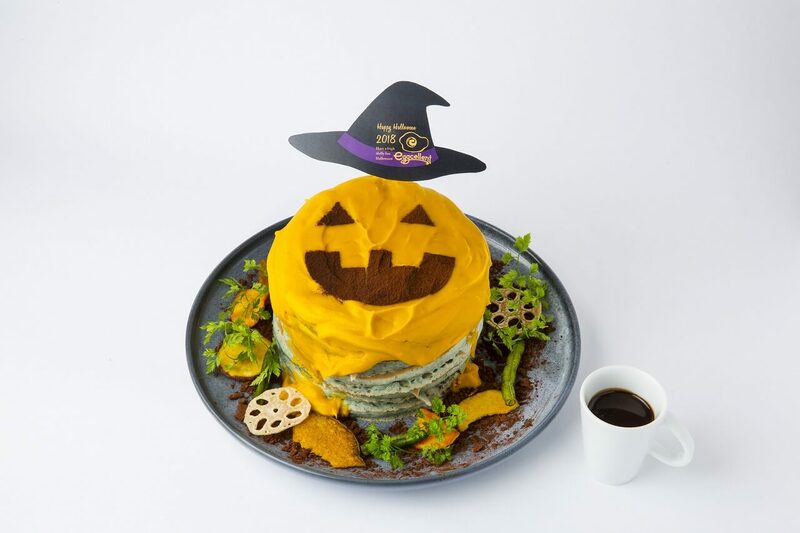 The annual event, “ROPPONGI HILLS HAPPY HALLOWEEN 2018” where visitors can enjoy foods and services related to Halloween, will be held at Roppongi Hills from October 11th (Thurs.) to 31st (Wed.) 2018. Many kinds of unique and fun “Halloween-limited events” will be held at Roppongi Hills. This year, various menu items including items where you can change the taste by pouring a blood-looking sauce over it and delicious, photogenic items can be enjoyed. Since the Tokyo International Film Festival is held on October 27th (Sat. ), right before Halloween, a Halloween parade using the motifs of movie characters will be held in Roppongi. Also, you can enjoy many kinds of contents including a nail make up service and a stamp rally. The 16th “Halloween Parade” was held last year with about 3,000 participants. 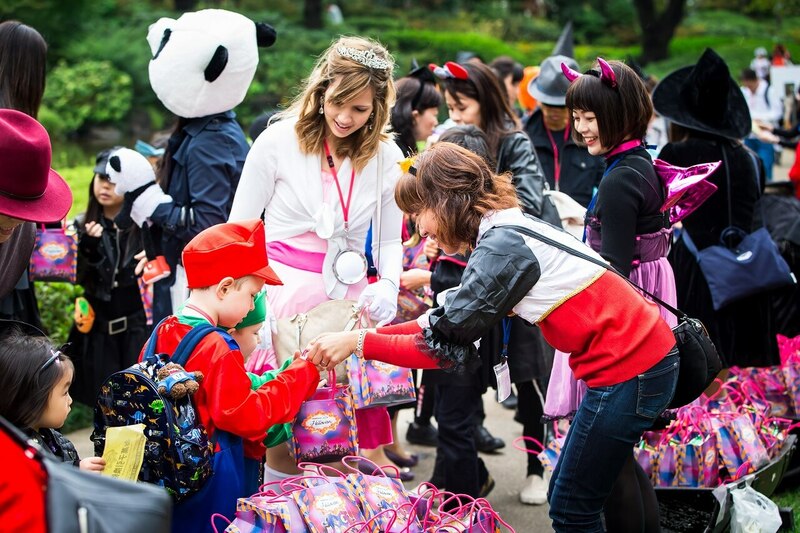 Because the Tokyo International Film Festival is held in Roppongi and it is known as the “city of movies” where many Japan premiers are held, the theme of the parade is “movies.” Both children and adults will get dressed up as movie characters and join the parade. 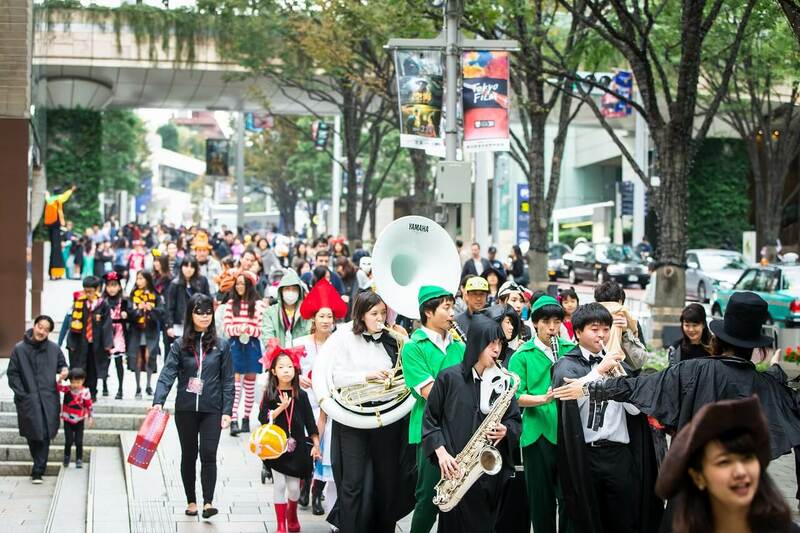 The parade, led by a brass band playing Halloween music, will depart from Roppongi Hills Arena and walk for about 25 minutes (1km). Children who join the parade can get some snacks. Participation method: October 27th (Sat.) 9:45 to 13:00 ※Roppongi Hills Arena is the registration venue. ※Persons who have registered during the registration hours (9:45 to 13:00) can join the parade. Advanced registration is not necessary. ※Each group will consist of 200 persons and will start walking at different times. ※The parade will finish in about 25 minutes. ※Please note that you might have to wait for a while before the parade starts. ※Please note that changing rooms and baggage compartments are not available. ※The event will be canceled depending on weather conditions. This is a service where you can collect stamps at six stores (out of 21 stores) located inside Roppongi Hills. A stamp card can be obtained at “Roppongi Hills Information Center” located inside Roppongi Hills Mori Tower 2F. A specially made soft-served ice cream will be offered at “Grand Food Hall” which was opened in Hill Side B2F on September 13th. Date: October, 21st (Sun. ), 27th (Sat. ), 28th (Sun.) 12:00~ ※The event will be finished when it reaches a fixed number. Stores: Uchino Touch (West Walk 4F), Cole Haan (Hill Side B1F), SABON (West Walk 4F), Dogs Care Joker (Hill Side B1F), BorneLund (Hill Side B2F), United Arrows Roppongi (West Walk 2F) etc. ※Please note that the number of stamp sheets and prizes is limited. 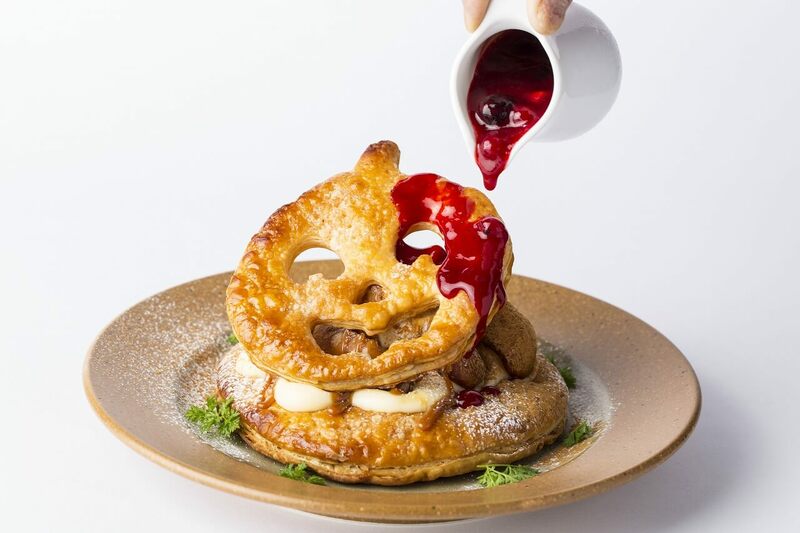 Halloween-limited menu items ~Photogenic menu items which are too good for eating and menu items that you can change the flavor of, will be sold. 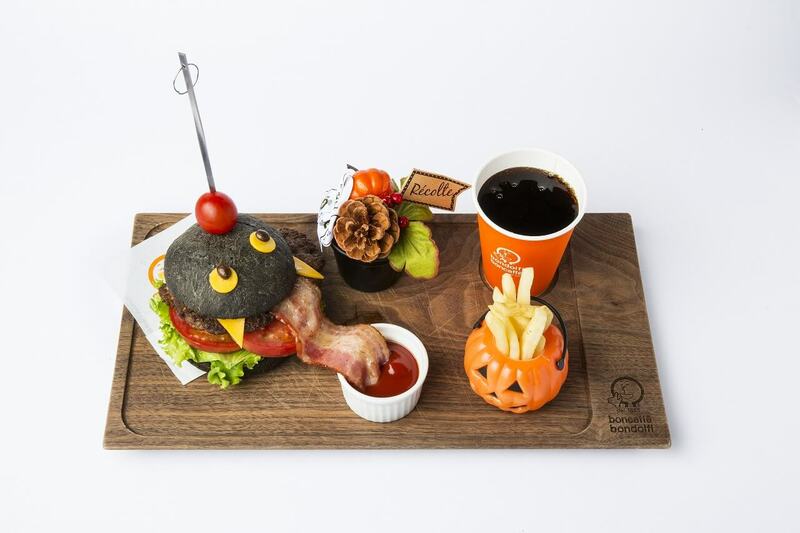 Unique and fun “Halloween-limited menu items” are now recognized as the seasonal tradition of Roppongi Hills. Delicious and photogenic menu items will be sold from October 11th to October 31st (Wed.). Let’s enjoy these menu items which will make you want to take photos of them. 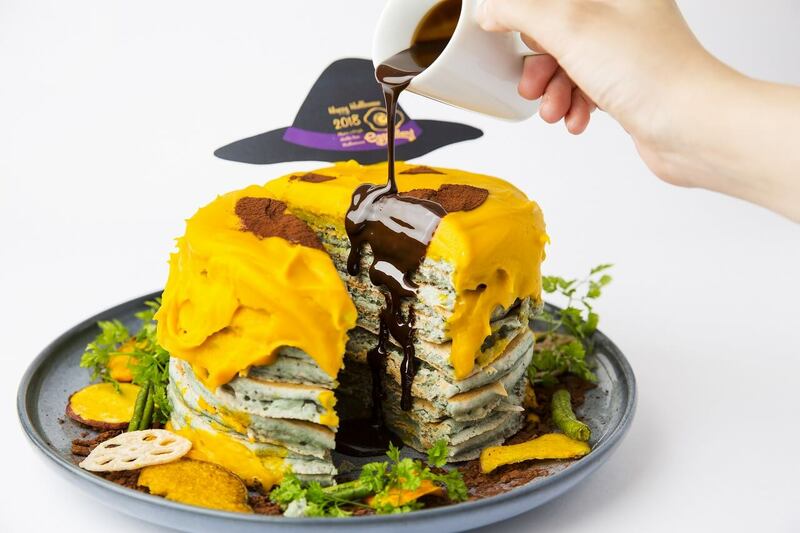 A monster-size item that comes with 10 slices of originally selected chewy pancakes that contain purple potato. You can enjoy two flavors by cutting it into half and pouring a chocolate sauce over it. It is recommended that you share it with several persons. This item is a pumpkin face made with pie dough that boosts the atmosphere of Halloween. Cold caramel ice cream is placed on top of the hot apple pie so you can enjoy both crispy and soft textures at the same time. The look of the menu item becomes bloody and gory when you pour the red berry sauce over it. Let’s take a video of it! A charming ghost hamburger that comes with fangs and a tongue made with cheese and buns grilled using bamboo charcoal. The menu comes with potato, ketchup and a drink. 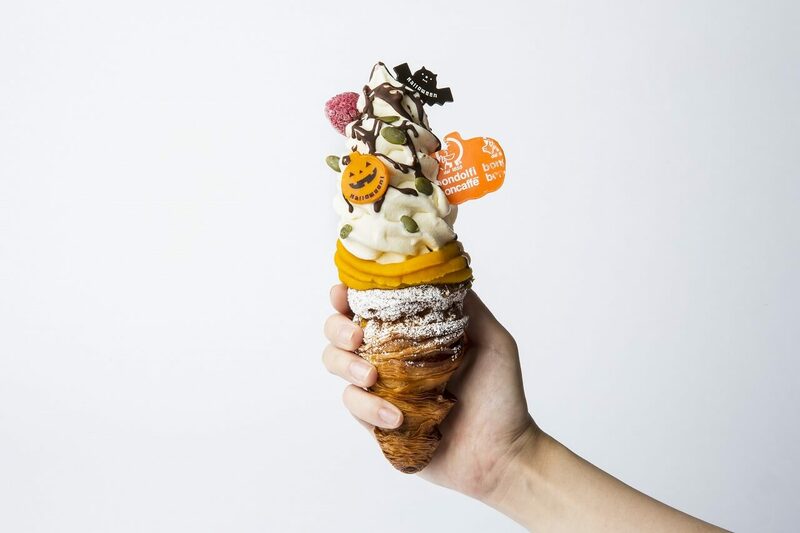 The Halloween version of PARK 6’s original hybrid dessert “Aragosta Soft” will be sold! A new type soft served ice cream which you can eat using just one hand. This item is very photogenic. Entrance fee – sky deck: additional fee (\500 – adults, \300 4 years old to junior high school) must be paid in addition to the entrance fee. ※Children below elementary school must be accompanied by their parents or guardian. Let’s wear a costume and go to the observation deck! Entrance fee discount service. A campaign where persons wearing a costume can get a 50% discount (entrance fee) will be held! You can enjoy a fantastic time at the observation deck. Children below elementary school can enter the venue for free. Let’s have a wonderful time with your family or friends. Why not enjoy Roppongi Hills over the three week period when Roppongi Hills and Tokyo are filled with a Halloween mood? 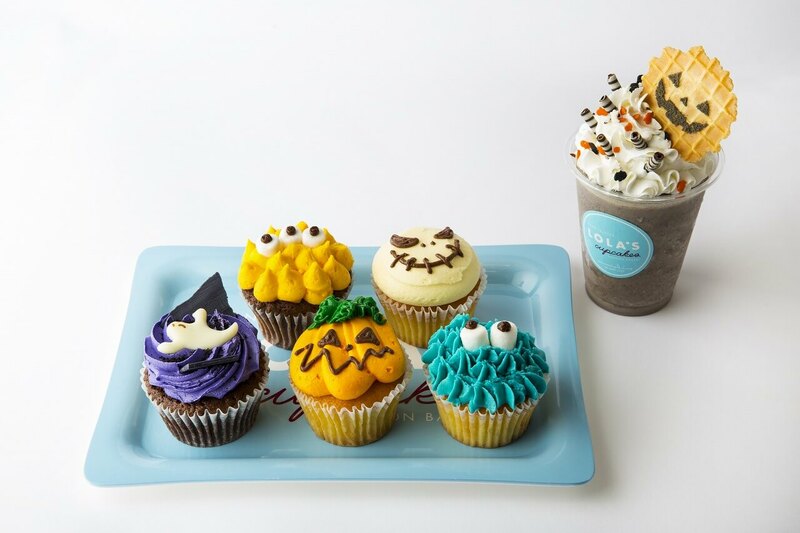 Ginza Cozy Corner is going to be selling 3 new Disney Halloween limited edition desserts!